Hat pulled low and hands thrust into his sleeves to combat a cold, damp night outside Newport's Le Pub, Chris Farren looks just about as far removed from the warm of Naples, Florida as it’s possible to be. Which is fine by him. Back in March, Farren put out ‘Soulmate Stuff’ as one half of Antarctigo Vespucci, a new power-pop band that found him teaming up with Jeff Rosenstock, formerly of Bomb The Music Industry!. The record acted as a release valve. He was able to ditch Naples for a while, head to New York and release new music, something Fake Problems, his band, haven’t really been doing of late. The day before boarding the plane he sketched out the song that anchors the EP, Don’t Die In Yr Hometown. Its sentiment is clear, and Rosenstock got it immediately. He jumped on Farren's paean to taking chances and helped shape it into an anthemic, Springsteen glockenspiel-toting beast. “Last year, I spent most of the year just in Naples, Florida,” Farren said. “And, Naples, Florida has always been a really nice place to kinda come home to after tours and spend a week or two in. But, when I had to spend like a year there, I started to get really sick of it. Rosenstock released the record, a matter of weeks after its completion, on his donation-based Quote Unquote label, which in recent years has handled BTMI! albums and good stuff from Hard Girls, the Taxpayers, Cheap Girls, even Kevin Seconds. His Duracell bunny approach to making music represented something of a welcome step into the unknown for his friend and bandmate. “That’s just the way Jeff does things in general,” Farren said. “That was something that I really wanted to happen because I’ve been in a situation with Fake Problems where we just haven’t released something for a long time. With ‘Soulmate Stuff’ a wizened six months old, Farren and Rosenstock fired up the engine again pre-Fest, delivering a second EP, the rambunctious ‘I’m So Tethered’, after a week spent writing and recording. Thanks to a little intervention from the scheduling gods, the pair were again joined by Benny Horowitz, drummer of the Gaslight Anthem, while the playful keys and idiosyncratic programming of Rosenstock’s previous work also crept into view more regularly. The new-found freedom to write and release at will allowed Farren to get out on tour with new material under his belt, something that, as Taylor Swift and Spotify continue to trade blows, remains the lifeblood of a DIY musician’s career. “It [Quote Unquote’s model] gets the music to the listener,” Farren said. “I’ve been doing this for a long time and, I won’t say never, but the amount of income that comes from record sales for me is super low. And that’s how it’s always been, because I wasn’t a musician in the ‘90s, when it was obnoxious, y’know? I’ve never known a life other than this. Having also released ‘Ducks Fly Together’, a split with Grey Gordon on No Sleep, this year, a solo record is now a possibility for Farren, while Fake Problems will likely rear their head again. For now though, there’s the small matter of a few more 'crazy places' to hit alongside tourmate Mark McCabe. He's looking at you, Devizes, London and Southampton. 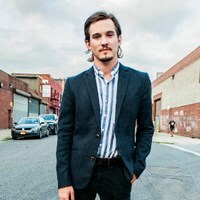 Click here to compare & buy Chris Farren Tickets at Stereoboard.com. Chris Farren has shared a new song featuring Jenny Owen Youngs. Chris Farren has returned with a new song. 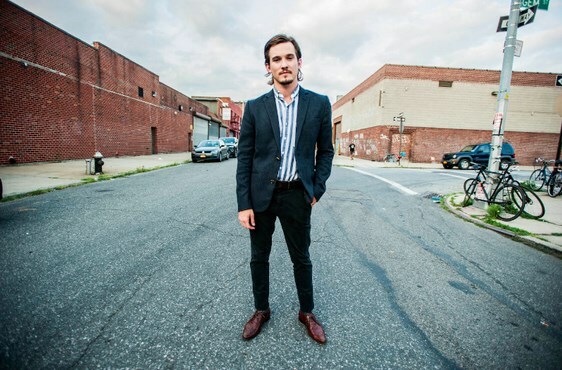 Chris Farren has unveiled a new song, Human Being. One of life’s dirtiest tricks is the way it slowly erodes the time we have to do the things we love. In response we have nights spent on either side of a low stage, sweat flying and words being wrenched from hoarse throats. “When we’re on tour and playing shows I’m like: ‘This is me’. And then I quickly get back into normal, boring work,” Martha bassist Naomi Griffin says. Martha’s approach to pop music falls somewhere between kitchen sink realism and wild escapism. Over the course of two LPs and a slew of excellent singles the indie-punk quartet, who hail from Pity Me, close to Durham in the northeast of England, have cemented a reputation as a melodically savvy, socially conscious band capable of telling us the truth and then helping us to forget about it. Photo: Vanessa Heins Since the release of their explosive debut in 2013, PUP have hurtled along a knife-edge between joy and despair with such velocity that it’s been impossible to look away. After releasing their self-titled debut album in 1999, and promptly splitting up, American Football became a cultural touchstone. They were synonymous with the intelligent side of emo, having created a template that would be imitated throughout the new millennium: complex, intertwining guitar parts, unconventional rhythms, and melodramatic lyrics that chronicled heartbreak and uncertainty with a sort of smug collegiate literariness. Charly Bliss have shared a new track.